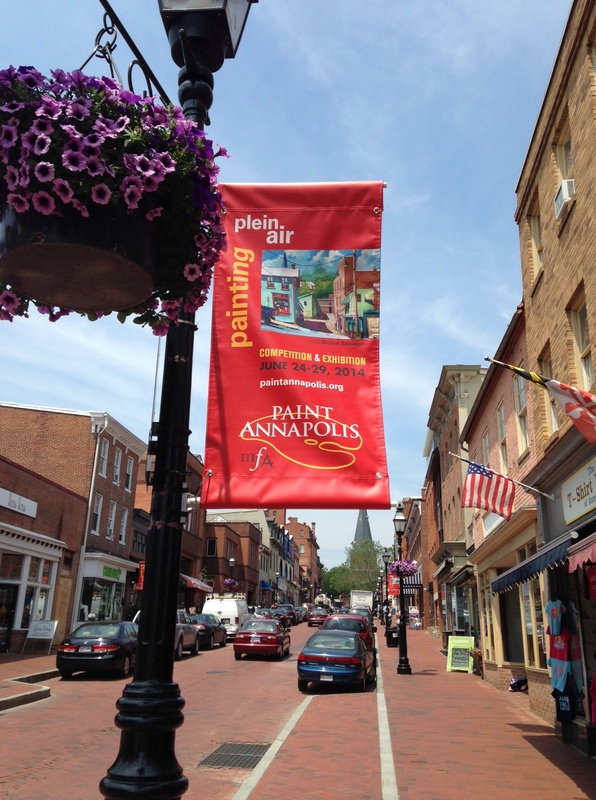 Welcome to all of the Paint Annapolis juried artists! Everyone arrived this afternoon to register and have their canvases stamped. They picked up their bags with instructions, maps and details for the week, while saying hello to old friends and meeting artists that are new to Paint Annapolis. They enjoyed yummy sustenance to prepare them for the week. See those blank walls behind them? They won’t be blank for long! Stop by the Circle Gallery this week and watch the walls fill up with paintings of Annapolis & Anne Arundel county scenes beginning tomorrow. This is an exciting event for Annapolis, for artists, and for MFA. A glorious day to begin this exceptional four day event!